Let’s get something out of the way: longevity is not a synonym for stagnation. Sometimes, longevity is a symbol of stubborn refusal to compromise or insistence on marching only to the beat of the most exhilarating drum. 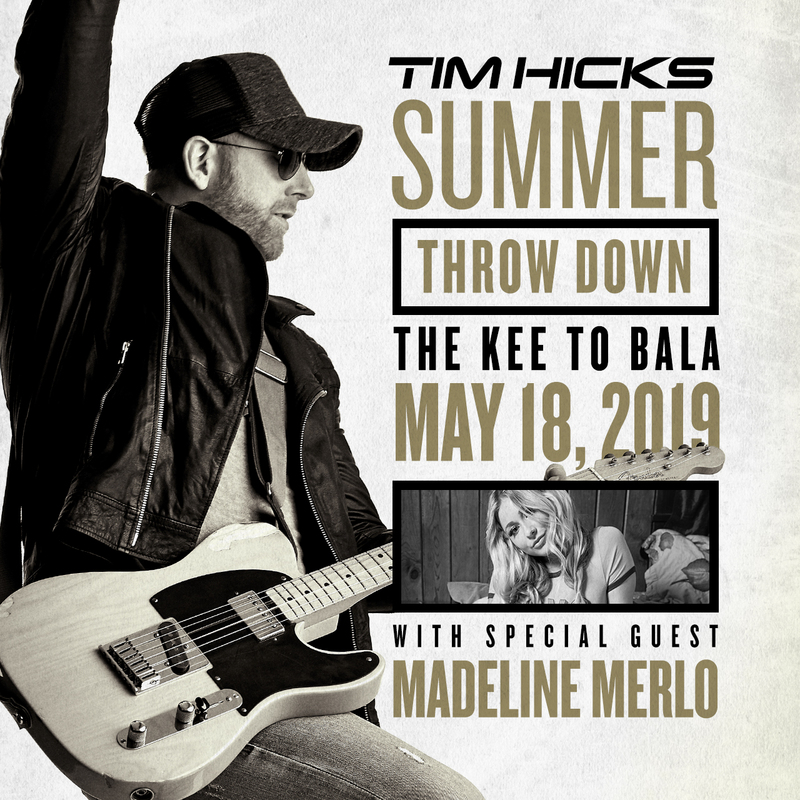 Take Tim Hicks. If anyone was ready for his proverbial close-up, it’s the acclaimed, chart-topping and award-winning artist. His presence as a consistently electrifying entertainer on the Canadian music scene may stretch back more than a decade, but his latest and third studio full-length album, the alternately scorching and tender Shake These Walls, scans as strikingly new. That’s what happens when you’re lucky (read: dogged) enough to locate your most authentic musical voice at the precise moment you find yourself in Nashville scratching it out alongside some of the sharpest blades in the musical toolbox. Indeed, one of the most noticeable things about Shake These Walls is the range of moods and emotions on offer. Take the boisterous first single “Stompin’ Ground,” an instant radio smash and a snapshot of the good old days when hard-partying with kin and kindred was less distraction than vocation. At the other end of the spectrum is “Slide Over,” a vividly drawn and unabashedly knock-kneed mid-tempo track with a dangerously infectious chorus. “That song is so real,” Hicks says. Produced by Corey Crowder (who recently celebrated his second #1 U.S. single with Chris Young), and whittled down from a total of some 70 songs written in Toronto and Nashville over the past year, Shake These Walls provided Hicks with a distinct advantage absent from both 2013’s Throw Down and 2014’s widely feted 5:01: a live, in-studio band while they were recording. That’s essential given that in 2017, Hicks will mount the “Shake These Walls Tour,” his second major headlining jaunt following 2015’s sold-out “Get A Little Crazy Tour” and his chance to do what he does best: connect with audiences from coast to coast and beyond. So while Hicks has the resume of a veteran – seven Top 10 singles on Canadian country radio, #1 country album for 5:01, multiple CCMA and SOCAN wins and JUNO nods, coveted spots on prestigious festival stages nationwide – Shake These Walls charts a path that is completely new… and shoots straight for the country music stratosphere. “As each year on this crazy ride goes by, I just feel more comfortable as Tim Hicks, the artist,” Hicks says. “The challenge of trying to write a good song is still one of the most exciting parts of my job.